This amazing sets come with anything and everything you could ask for. The set focuses on the eyes and the face by incorporating six eyeshadows, three eyeliners and two cheek colors. It also includes three travel brushes that are perfect for applying shadow, liner and blending each to perfection. Eye Shadow colors: primrose, african violet, merlot, truffle, topaz and stellar; Tightliner Cake Eyeliner colors: espresso, black ebony and burgundy wine; Cheek Colors: rose petal and city pink; Brushes: ponytail, crease and flat eye liner. 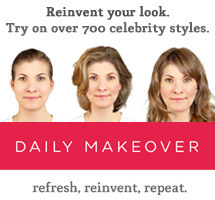 Check out other fun gift giving ideas here. 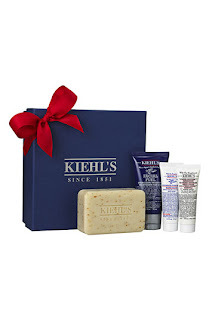 This gift set is perfect for him or her and has a colorful array of soothing body washes. The set will look great in any bathroom and each scent is calming and relaxing on the skin. Scents include: relazing yuan zhi; inspiring wild-indigo; ultrasmooth coco de mer; paradisiac pink pepperpod; blissful templetree; heavenly gingerlily. The set also comes in a gorgeous gift box which is wrapped and ready to go under the tree or in your loved one's hands. Check out MB's other gift sets here. 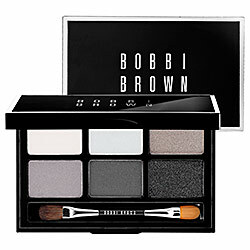 Bobbi Brown always has fun palettes up her holiday season and this year is no exception. I adore this versatile, yet perfectly dramatic shadow collection. The shades lend themselves to creating the ultimate smoky eye but individually the shadows are perfect to wear from day to night. Throw this in your work bag and pump up your after work/holiday party look with these six shimmery hues. 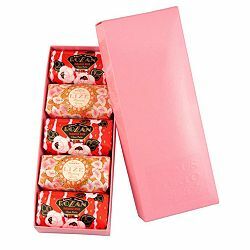 One of the oldest and most prestigious soap-making companies, Claus Porto originated in Porto, Portugal in 1887. Today their soaps are sold in the US by one of Oprah's favorite brands, LAFCO. The company "specializes in importing niche and artisanal products from Europe, those types of products are very difficult to find in the US" says their founder, John Bresler. In fact, Oprah selected the brand's luxurious soaps and candles to be featured on her annual Favorite Things episode. Claus Porto soaps make amazing gifts because of their unique, colorful packaging and aromatic fragrances. 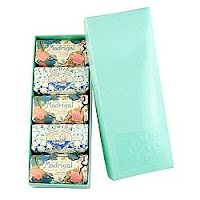 The soaps feel velvety and moisturizing on the skin and make any home feel warm and welcoming. The guy-friendly skin care brand comes out with the same irresistible dude gift sets every years and they're always a big hit. Gift the guy in your life with their Men's Refueling Gift Set which features four of the brand's most popular men's products. The boxed set features their Ultimate Man Body Scrub Soap, Facial Fuel Energizing Moisture Treatment, Ultimate Strength Hand Salve and Ultimate Brushless Shave Cream-White Eagle. Get this cute gift. It's the gift every guy wants but doesn't want to ask for. Love it! This is the most delicious gift a bath and body lover could ask for! The ultra-rich whipped cremes comes in yummy, indulgent flavors including Fresh Fig, Almond Coconut Milk, Creme Brulee and Creme de Pistache. These calorie-free treats linger on your body all day and seriously nourish dry, cracked skin. They're perfect holiday gifts, individual stocking stuffers or hostess thank you's. This gift set is not only a great value (the lip treatment alone is usually $25) but it's also a versatile gifting option. Gift it under the tree, in a stocking, for a co-worker, loved one, Secret Santa acquaintance or whoever else you want to surprise this season. It's an inexpensive preset but one that comes with valuable Fresh favorites. I adore their Sugar Lip Treatment SPF 15 and am obsessed with the richness of their Brown Sugar Body Cream. You also get a great, festive silver makeup pouch. 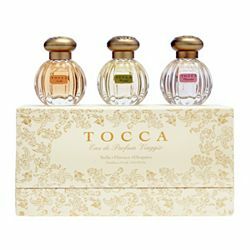 I'm a total sucker for TOCCA's gorgeous smelling candles and fragrances. Each smell fresh, light yet romantic. Try three of my favorite scents and introduce your loved ones to the cult-favorite brand. 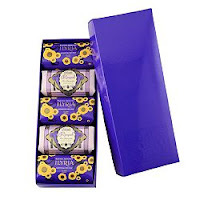 This gift set features three mini bottles of Florence (with notes of Bergamot, Jasmine Petals, Iris and White Musk), Stella (with notes of Bitter Orange, White Freesia, Spicy Lily and Sandalwood) and Cleopatra (with notes of Bitter Grapefruit, White Jasmine, Tuberose and Rich Vanilla Musk). It's a truly intimate gift that will definitely be appreciated and loved!